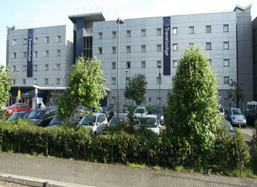 Located off the A13 at the East India Dock Road, the Travelodge at London Docklands provides contemporary quality accommodation and an ideal base for exploring the city. Spacious en-suite rooms, TV in every room, tea and coffee making facilities, plus a Bar-Café on site, make Travelodges terrific value. Need Help booking a London hotel room?